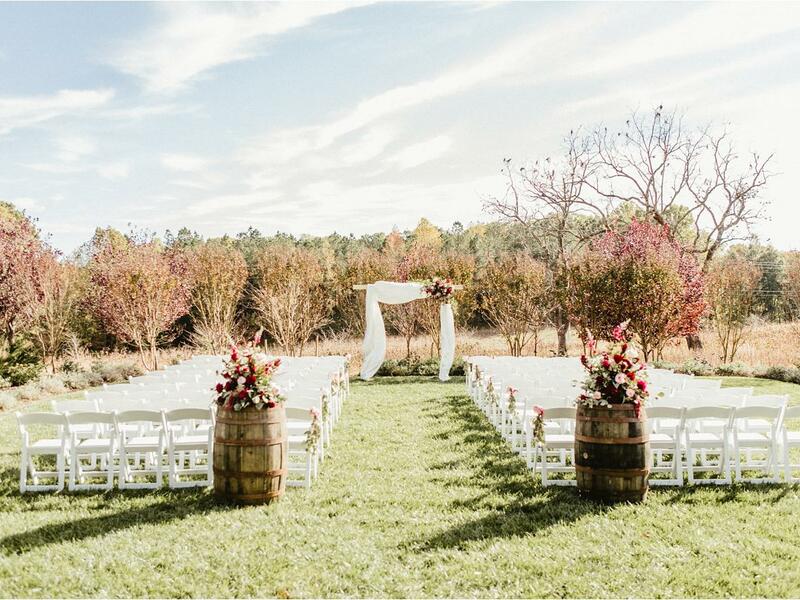 Being able to host a garden welcome party for your wedding weekend is just one of many reasons to get married in the great state of Maryland. 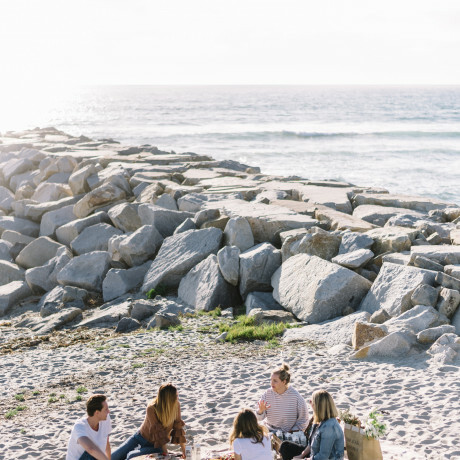 Home to various farms and an amazing coastline, this is one stop on our guide to the East Coast to find the best spots to visit, stay and get married! 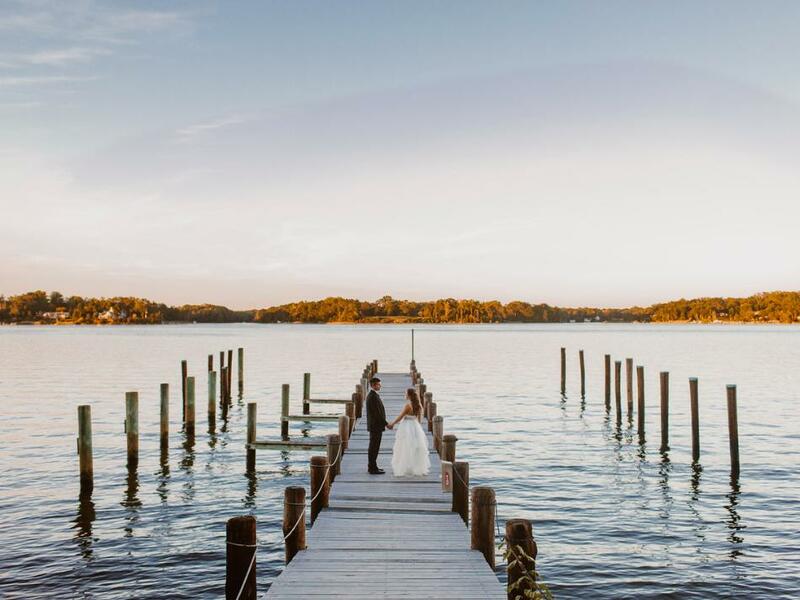 Whether you’re looking for ocean city maryland rentals, a wedding venue near deep creek maryland, an industrial cotton mill in the city or massive library, wedding venues in Maryland have options for every wedding style and budget. 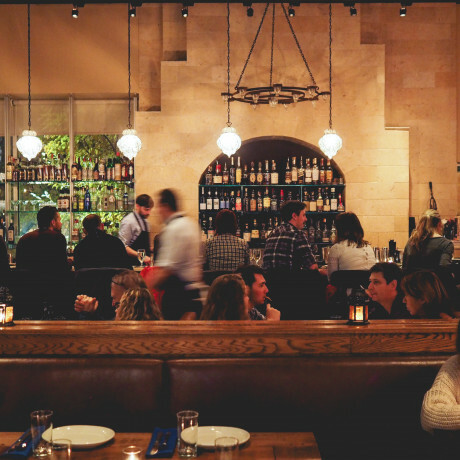 Come along as we explore our favorite reasons to get married in the Old Line State. This article has been updated since its original publish date of March 2017. Located in the sprawling Rockville Civic Center Park, this 1920s home is a historic gem that’s surrounded by gorgeous formal gardens. 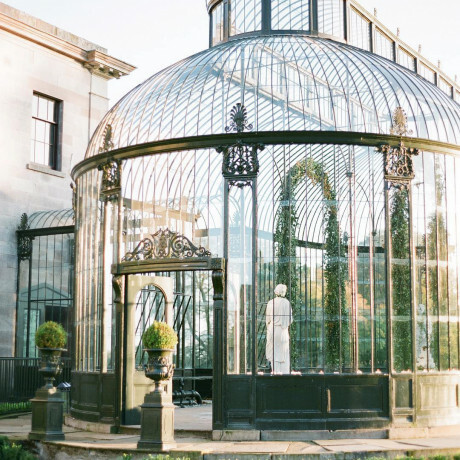 If a garden party wedding theme is what you’re after, head over to Glenview Mansion to scope out the grounds. 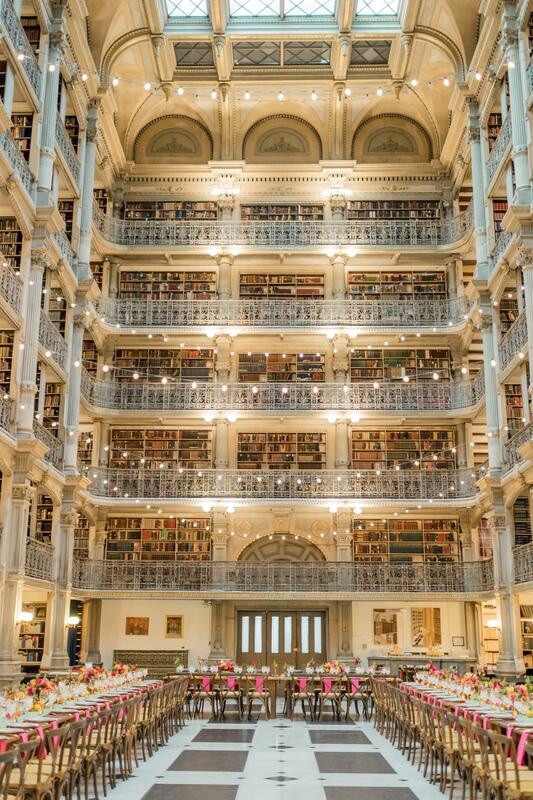 You certainly don’t have to be bookish to appreciate the architecture at this towering Baltimore library. 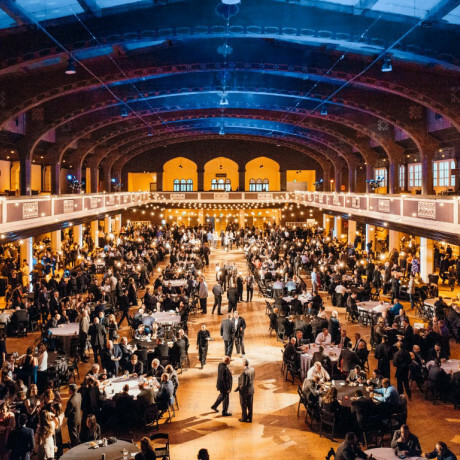 Get married surrounded by cast iron balconies filled with books, and lock arms with your new esposo on the black-and-white marble (dance) floors. What was once a Victorian Era girls’ school is now the site of some very cool Greek-inspired ruins, complete with massive white columns and a fortress-like structure overlooking the Patapsco River Valley. 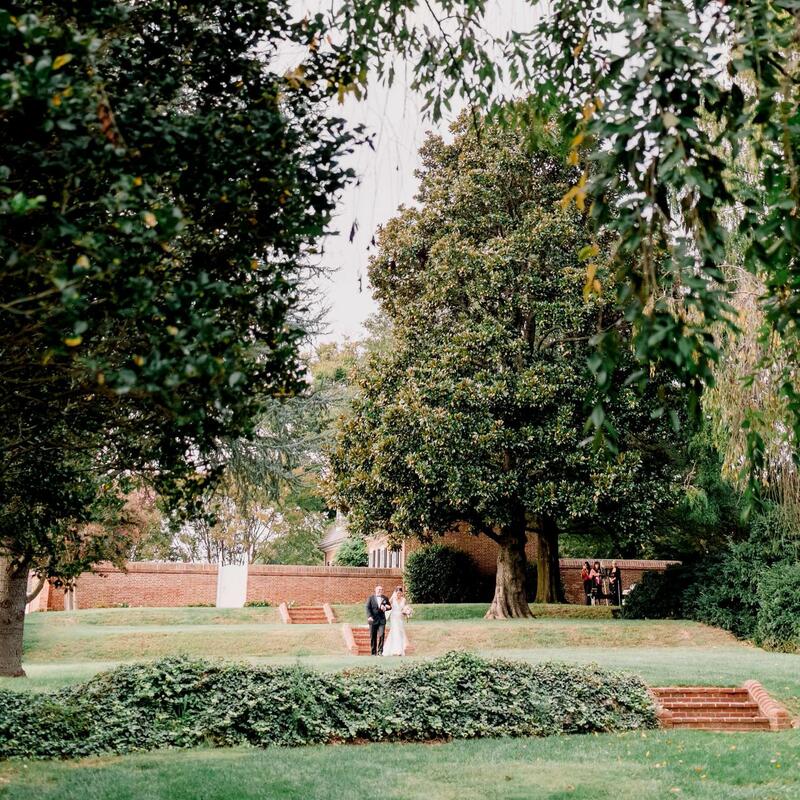 For a Maryland wedding venue that’s steeped in history and has gorgeous gardens to boot, check out Patapsco Female Institute Historic Park. 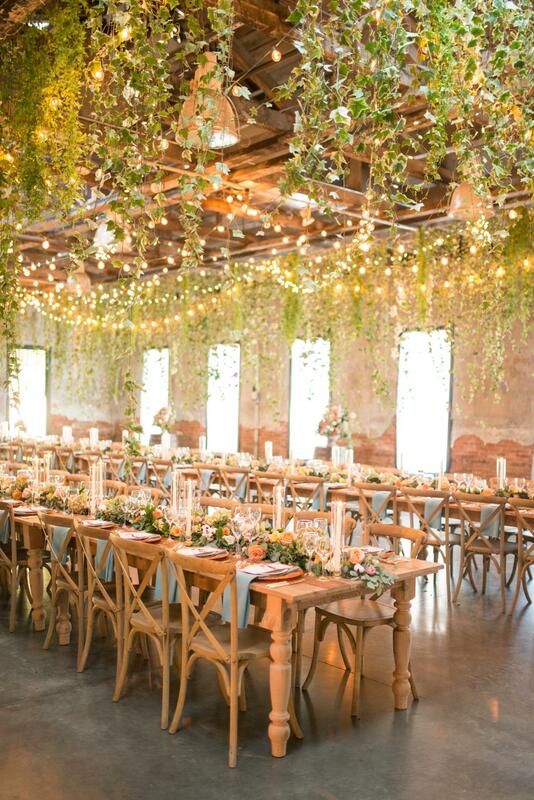 An old cotton mill, this giant warehouse space is now one of Baltimore’s coolest wedding venues. Set in the scenic Jones Falls Valley in the Mt. Washington neighborhood, the Dye House has a real industrial vibe and a whole lot of history behind it. 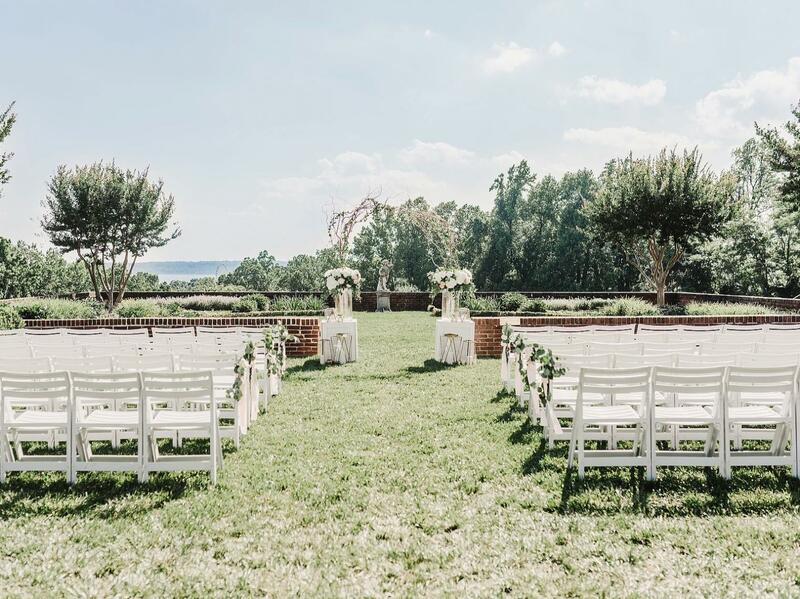 Couples looking for an elegant, traditional wedding will find serious eye candy at Oxon Hill Manor. Set on a hill overlooking the Potomac River, this beautiful Maryland estate features formal rose gardens, a charming reflecting pool and a whole lot of space for entertaining. 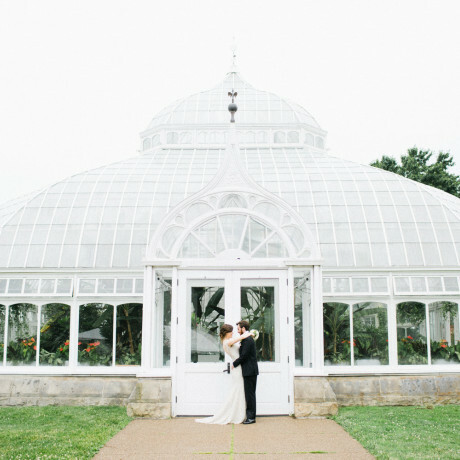 With its beautiful gardens, cascading lawns and gorgeous mansion, this sometimes conference center makes for one incredibly glamorous Maryland wedding venue. 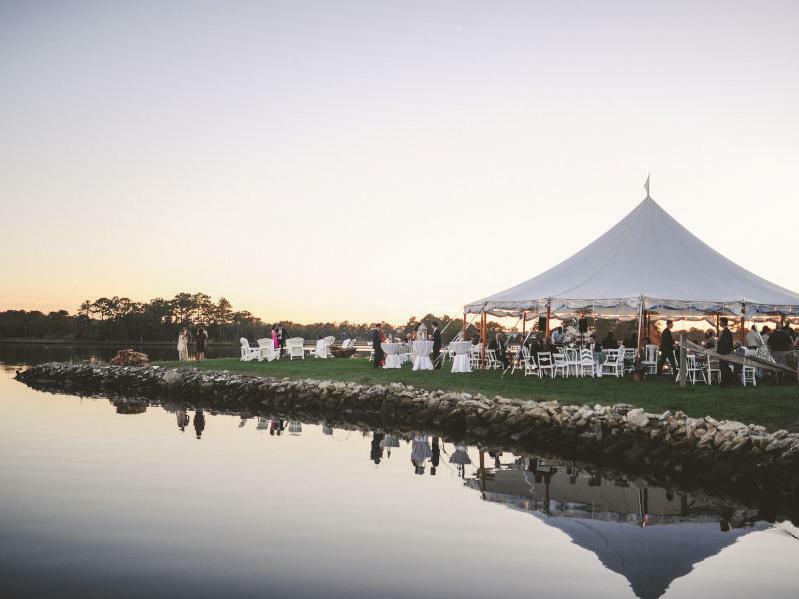 The Aspen Institute at Wye River has plenty of space for an outdoor wedding complete with sailcloth tent and epic live band. 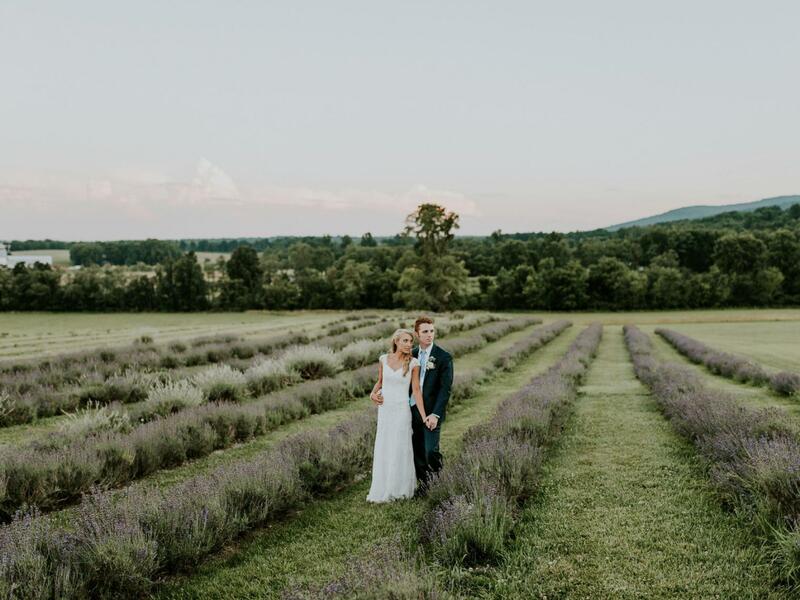 An outdoor wedding with a farmhouse backdrop in the hills overlooking Sugarloaf Mountain sounds about as dreamy as it gets. 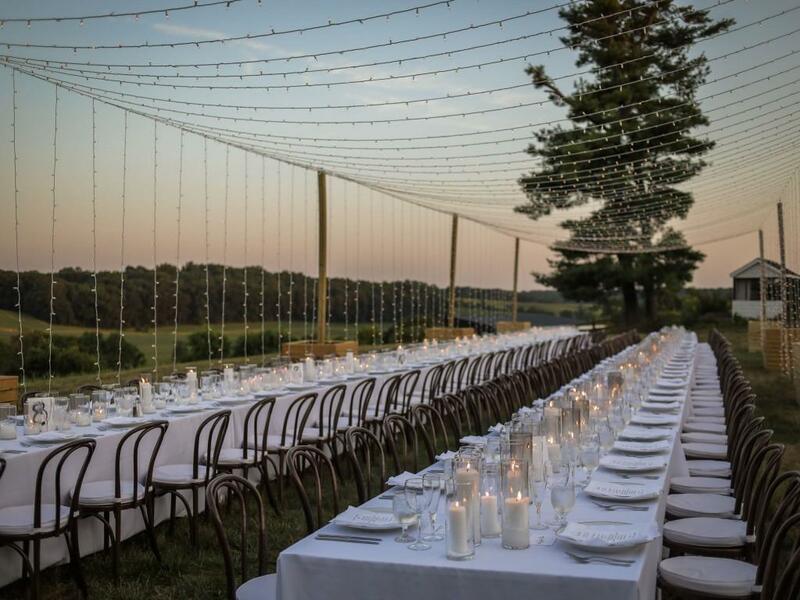 This top Maryland wedding venue offers not only gorgeous views but an incredible restaurant too. 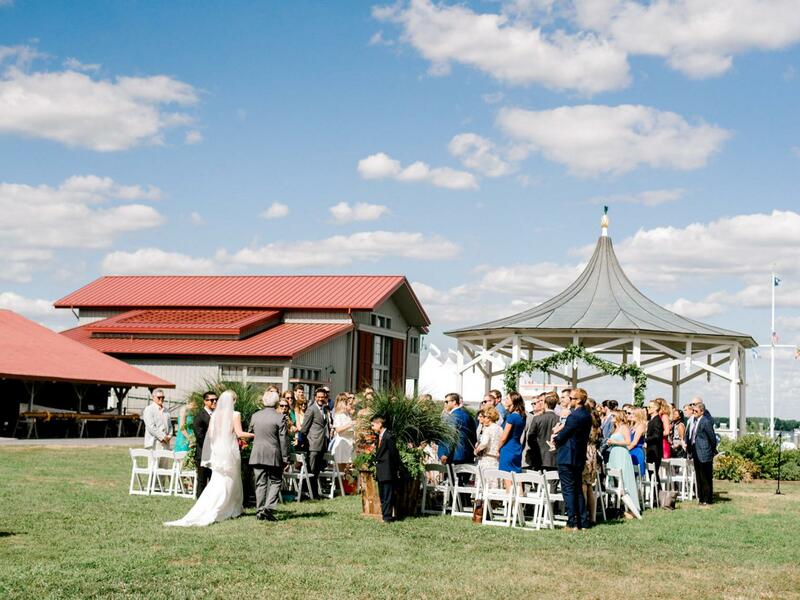 A horse farm that’s been around since the mid-1800s, Harwood is a gorgeous setting for an outdoor wedding in Maryland’s countryside. Whether you’re an equestrian at heart or simply love beautiful horses, this spot is one of the best-kept venue secrets around. Looking for a party mansion where you can throw down just a few miles from D.C.? Check out the headquarters of the Audubon Naturalist Society at Woodend Sanctuary & Mansion. 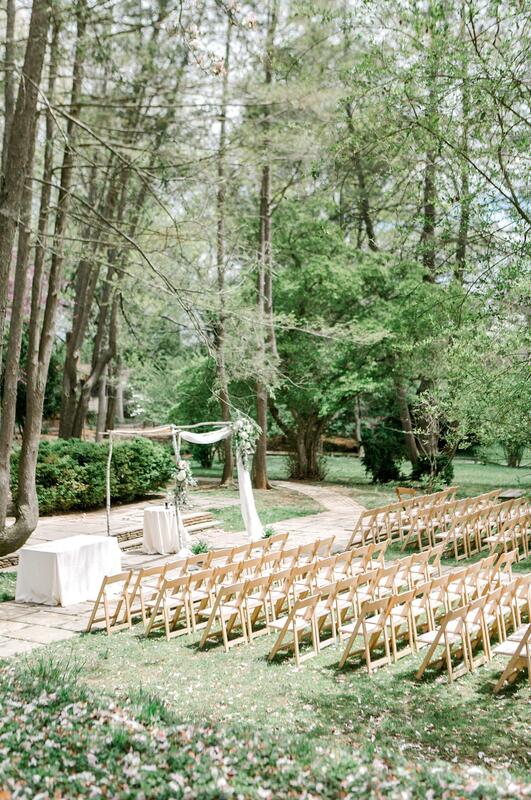 It’s woodsy and stately all rolled into one gorgeous wedding venue in MD. Three words: fields of lavender. 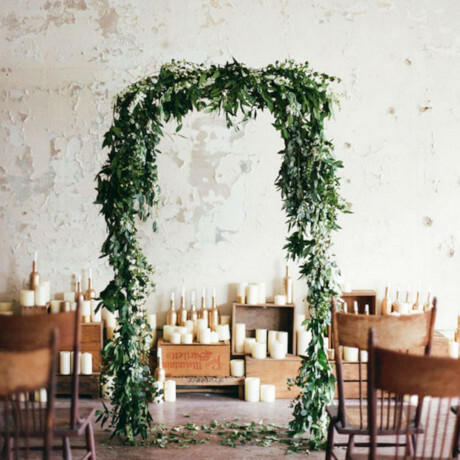 Imagine how rad your wedding pics will be?! Springfield Manor Winery is more than wine and spirits; in fact, it’s a whole sprawling estate with a mansion and absolutely gorgeous grounds. 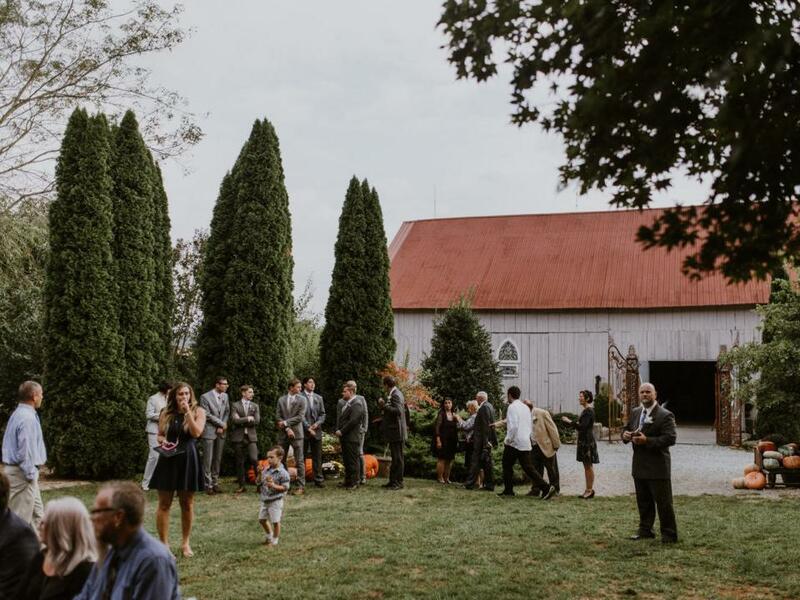 Set in the mountains outside Baltimore, Caboose Farm is a beautiful wedding venue with a real down-home feel about it. There’s a seven-bedroom house and an event barn on the property, with plenty of additional houses nearby. 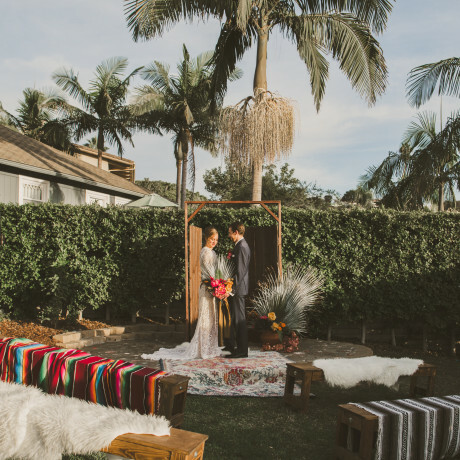 Sunset’s the real golden hour around these parts, so be sure to schedule your wedding ceremony accordingly. 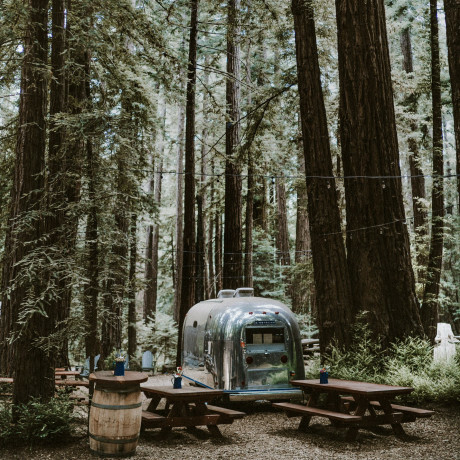 Just 90 minutes from DC and 40 minutes from Baltimore, Foxfire is the perfect city escape without having your guests drive too far. 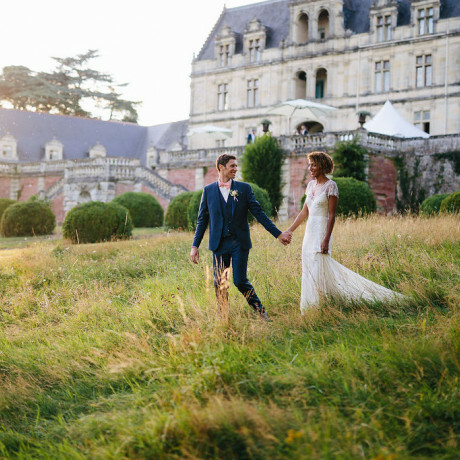 Sweeping views, sprawling grounds and a country estate await your wedding amongst the trees (think: American maples, boxwoods, poplars and London planes that are lush in the spring and summer and fiery in the fall). 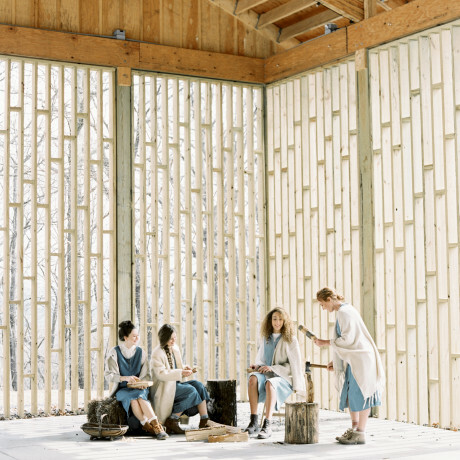 Perfect for weddings as small as 20 (who can all bunk up in the estate, no less) to large affairs of 300, Foxfire has your wedding needs covered. 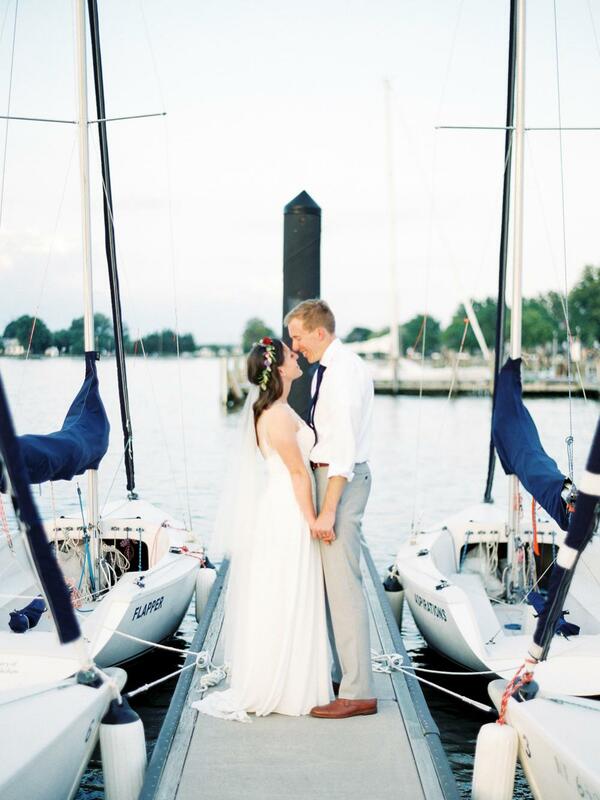 Classic, elegant, and even a little bit nautical, the Inn at Perry Cabin is a beautiful coastal Maryland wedding venue that allows Chesapeake Bay to be your wedding vows’ backdrop. With 78 guestrooms on-site, your whole party crew can make a weekend out of it! 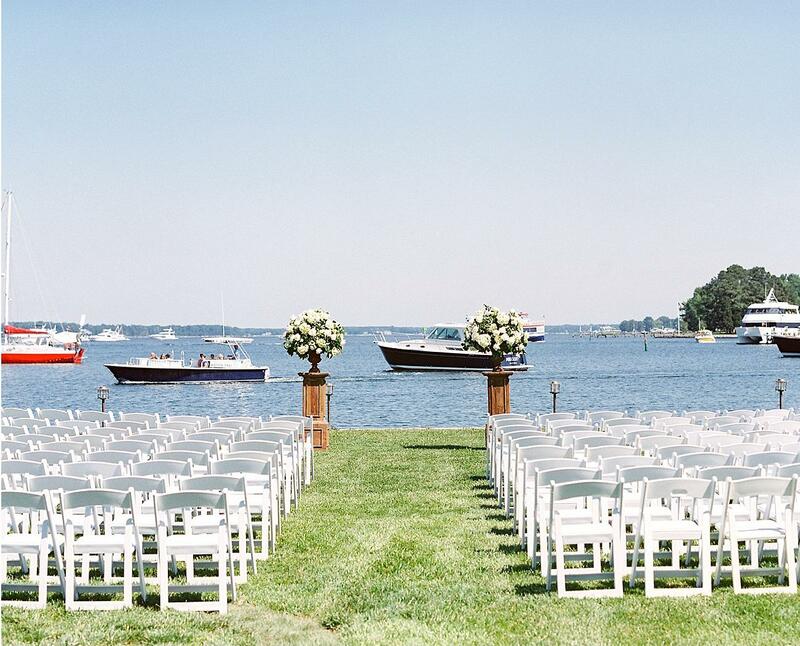 Head to the Tred Avon Yacht Club for its gorgeous lawn space, coastal views and cool little cannon on the docks. How fun would it be to set that bad boy off at the end of your vows? Nothing says, “let’s do this thing,” quite like a canon boom. 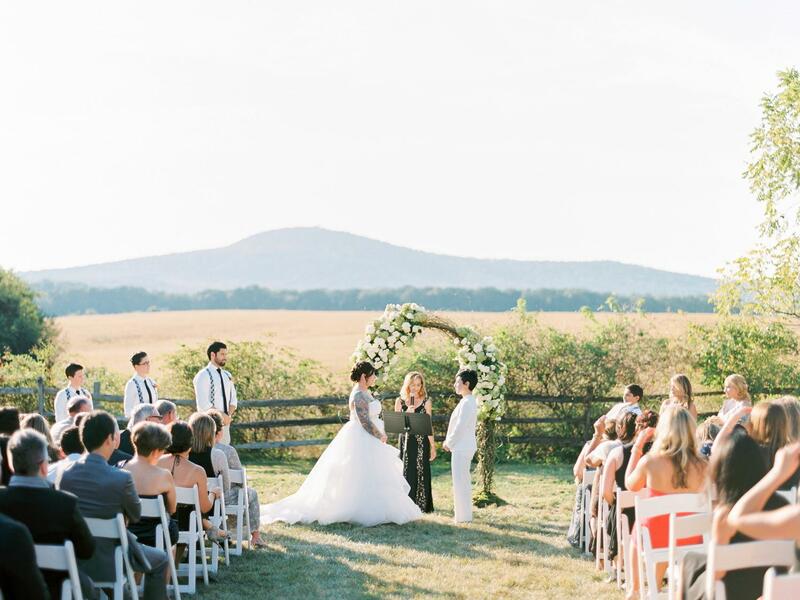 Blossom fans, you can get married at an actual sunflower farm in Maryland! Flora Corner Farm grows giant sunflowers alongside soybeans and corn, making for some gorgeous backdrops for a photo session. 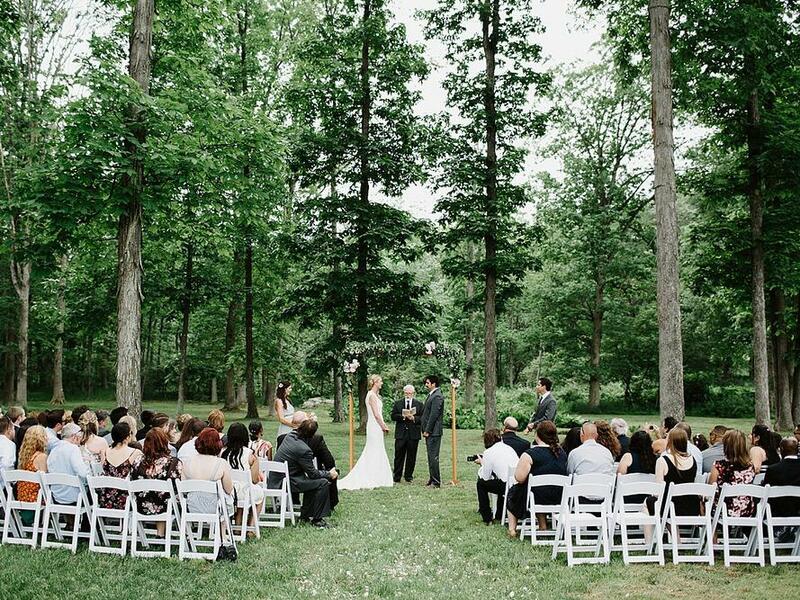 This countryside venue is a hit with anyone looking to unplug and marry in an outdoor haven. The "historic" of Historic London Town and Gardens is no joke – founded in 1683, this waterfront venue has been hosting events for over 330 years! The gardens boast beautiful blooms year round while a 40X40 tent creates an outdoor room April-November for up to 200 guests. At just 45 minutes from both DC and Baltimore, this stunning estate will be the second easiest "yes" of your life. Seriously good East Coast vibes abound at this Maritime Museum on the shores of Chesapeake Bay. 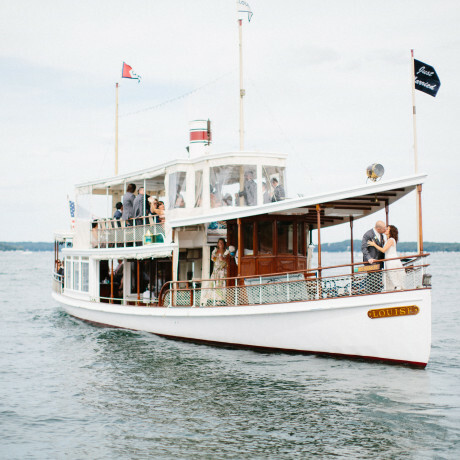 Fit for a fete of up to 350 guests, this is one Maryland wedding venue that’s perfect for the nautical enthusiast. A stately Annapolis Estate set right on the shoreline of Chesapeake Bay, Whitehall features endless lawns and gardens alongside a Palladian mansion that dates back to 1764. 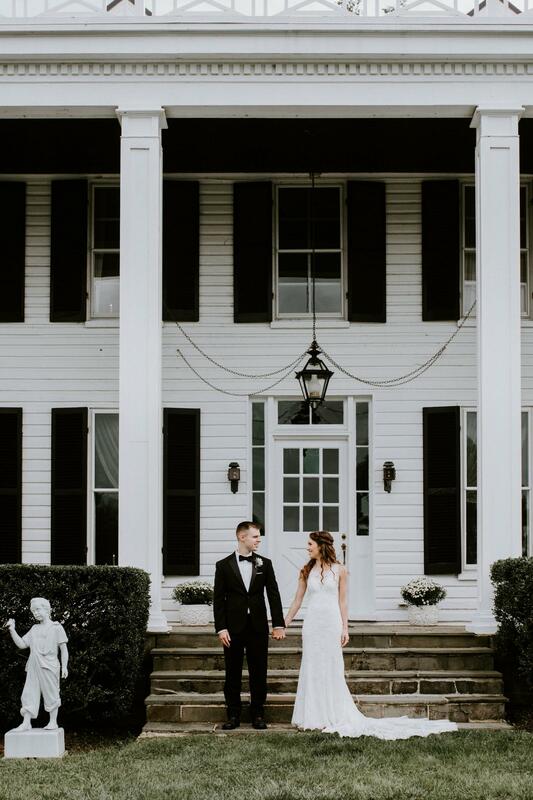 One of the most gorgeous wedding venues in Maryland, Whitehall has Great Gatsby style to the nines. 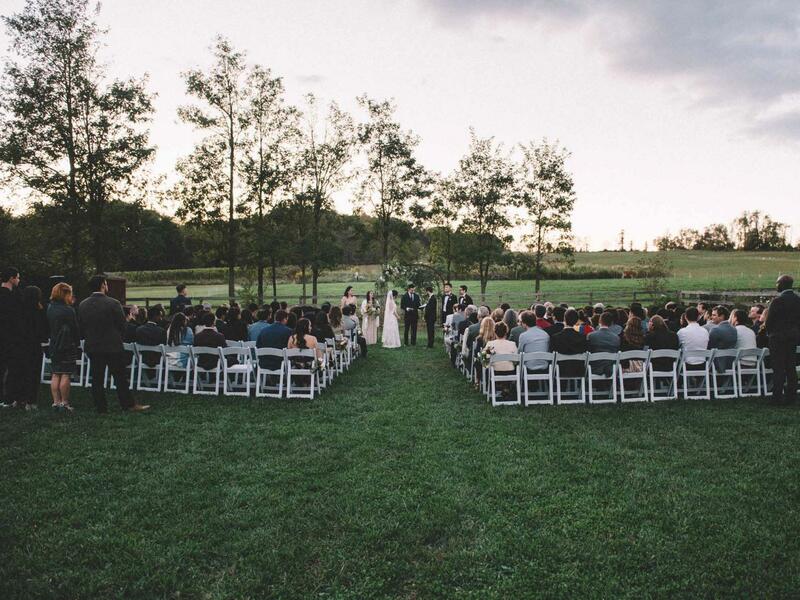 With 30 acres of rolling hills and horse farms, Glen Ellen Farm is one of those good ole countryside wedding venues that shows off the true beauty of Maryland. There’s a 1850s Greek Revival manor on-site and a cool outdoor clear-span tent for a built-in rain option. Don’t forget to check out the gardens too! Less than an hour from DC and Baltimore, this 18th century estate couldn’t feel further from the city grind. 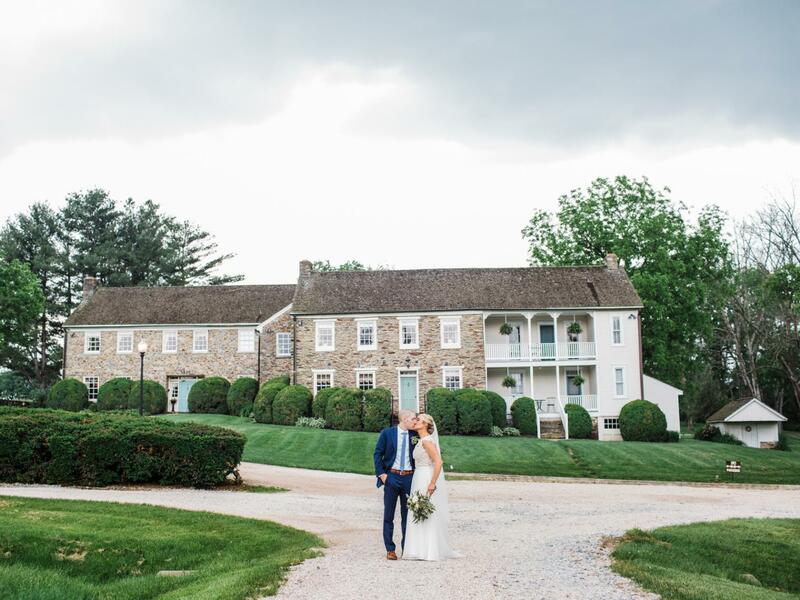 With stone terraces, a beautiful old manor home and a cool tent in the gardens, Stone Manor Country Club is one of Maryland’s best wedding venues for a night that combines both indoors and out. 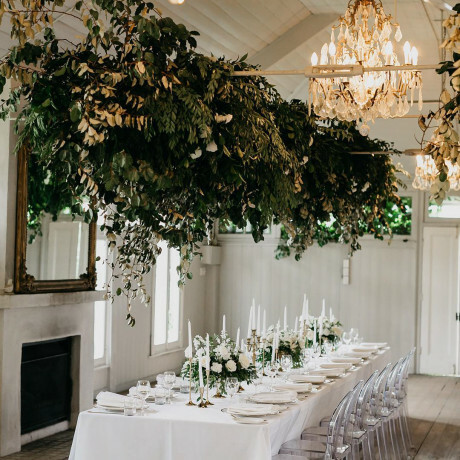 Old English garden gals, this is a Maryland countryside wedding venue that’ll have you recounting lines from Downton Abbey in no time. 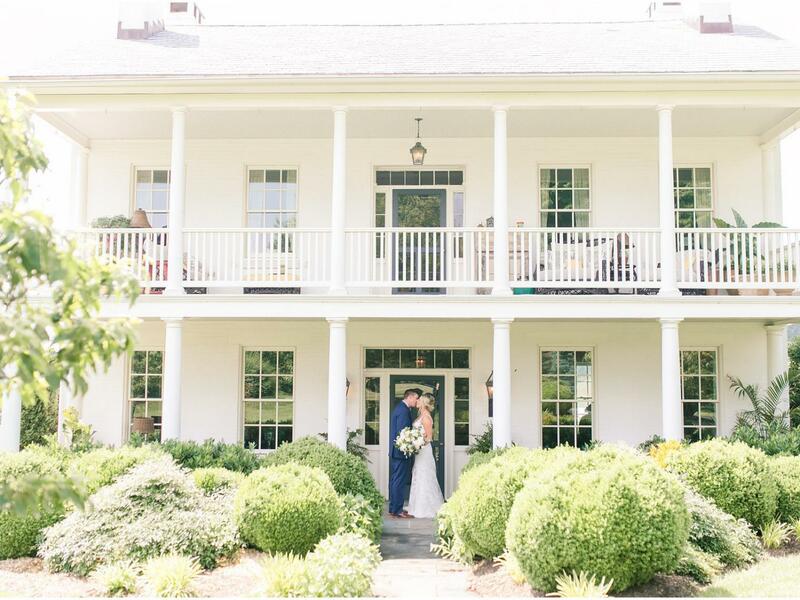 Dating back to the 19th century, Spring Hill Manor’s barn is charmingly rustic and surrounded by rolling hills and gorgeous gardens. 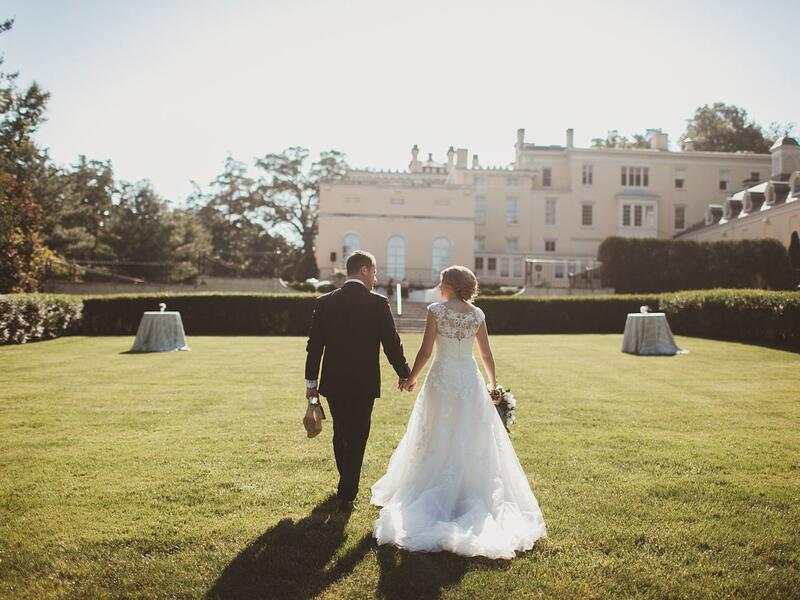 Opt for an all-cream attire event and your guests will look gorgeous against the backdrop of this stately 19th century Gilded Age mansion. 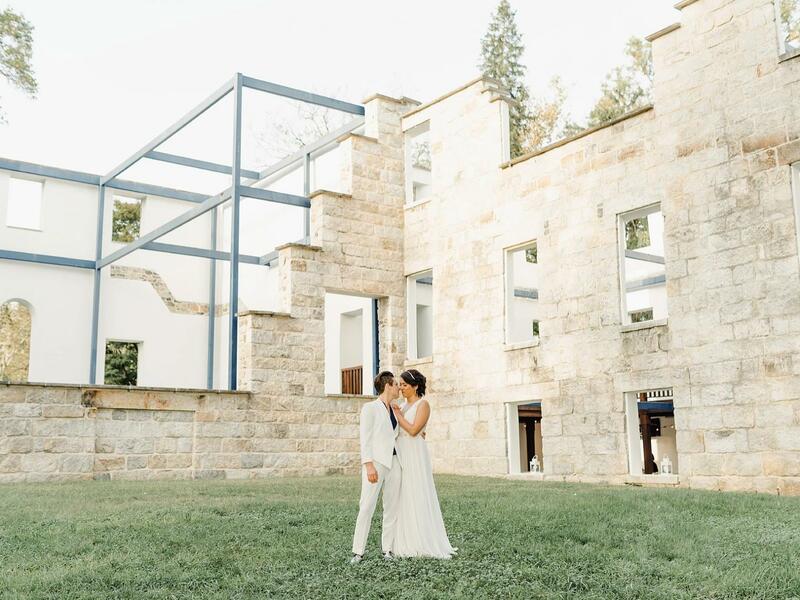 If it’s gardens you’re after, Evergreen Museum has sprawling meadows and a stunning garden space that’s perfect for swapping vows or sneaking a first look. 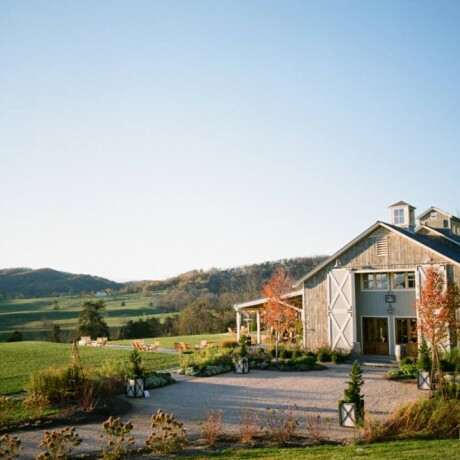 A winery, farm, tasting room, and market all wrapped into one, Rocklands Farm also serves as a very cool wedding venue for those who love some pastoral charm. 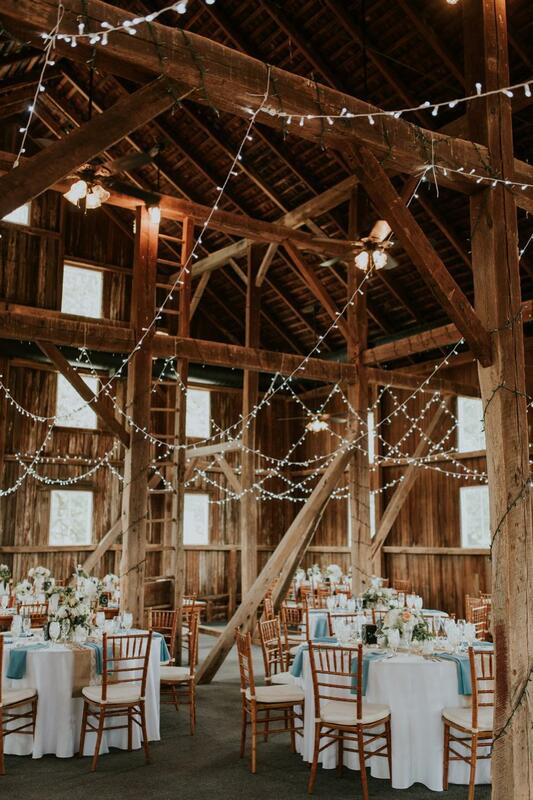 The rustic barn is cool for dancing and dessert, while the massive lawns are game for a tent or ceremony and dinner under the stars. With six bungalows, a main house and a boatload of water access, this West Ocean City property is an easy spot to head to for a long weekend of wedding festivities and water activities. Back Bay Bungalows are low key and perfect for the laidback couple looking for a weekend of kickin’ back and relaxing with friends and fam.